Our ecstatic force is our strength and recognising talent in each diversive aspect and a solid value system is acknowledged the most. We collaborate and possess a team based culture, with smarTian participation at all levels. Offering a variety of programs, events, activities, encouraging all smarTians to maintain a healthy lifestyle inclusion of virtual work practices, global work assignments, wellness programs, cultural events, treks, cricket tournaments and much more. Offering open and flexible culture where all professionals have the hunger to thrive. We reckon in Work-Life Balance and Environment Awareness while our internal culture ensures that the freedom we give to our smarTians always brings out their par-excellence characteristics. Our belief in maintaining this equilibrium with playful activities has played a major diversive role in accomplishing our goals and de-stressing in the most creative and healthy way. Flexible Work Options are the miniscule alternative that enables our professionals to maintain their personal and professional commitments. Eligible smarTians may request for “flexi” options which include alternate work hours and/or locations, change in shift for working staggered hours, early leaves, compensation off, paid-off leaves, sabbaticals, interest free loans, holidays etc. Merit is valued and achievement recognized. 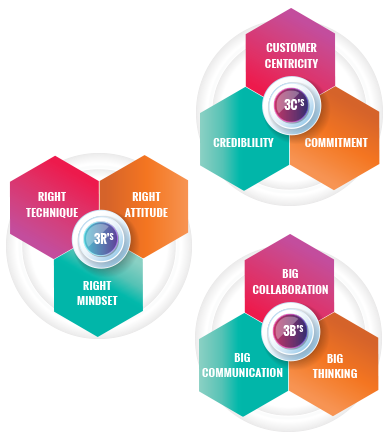 We expertise in recognising talent and leaders who are unique with their 3R’s - Right mindset, Right Technique, Right attitude and assign them with best opportunities such as global assignments, vertical and horizontal career growth options, awards/certificates, FWO’s etc. We are better together. Transparency is our key and our leaders are where they should be: right alongside you. Understanding our workforce and their seek for guidance at all levels is made easier with our “Open Door” policy where smarTians are free to communicate and provide their input on decision making and production processes or avail assistance in their daily work or their career trajectory across all branches and locations. We invest in smarTians with comprehensive programs for their personal/professional grooming and generous financial assistance for those who wish to pursue any technology certification. As a family, we feel strongly connected though our vision, passion and drive for success. We are also connected to the world around us, through our many community engagements and initiatives.